A year-end review of the Meatless Monday website’s 1,000-plus recipes revealed that the most-viewed recipe this past year is Jamaican Jerk Tofu. Shaking up the notion that tofu is boring or plain, this recipe offers up tofu made flavorful with a marinade that combines barbecue, savory and sweet flavors. The recipe also provides tips for tofu to soak up the maximum flavor. Pasta stood out as four of the top 10 recipes include pasta. One of these, Cherry Tomato Pesto Penne, comes from Meatless Monday President Peggy Neu. “This quick, easy meal is a delicious meatless option. 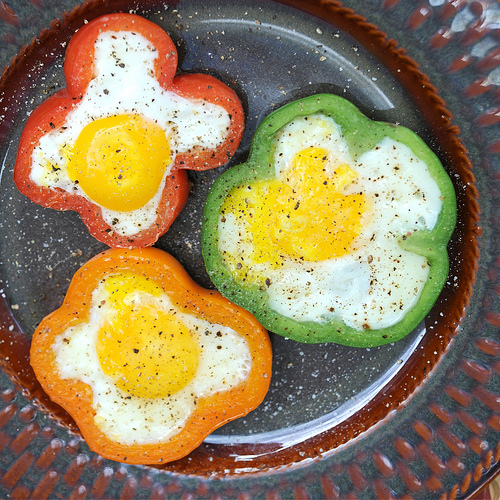 I’m glad to see many of our followers discovering exciting meatless recipes shared by our bloggers. We encourage anyone interested to check out our database,” Neu said. 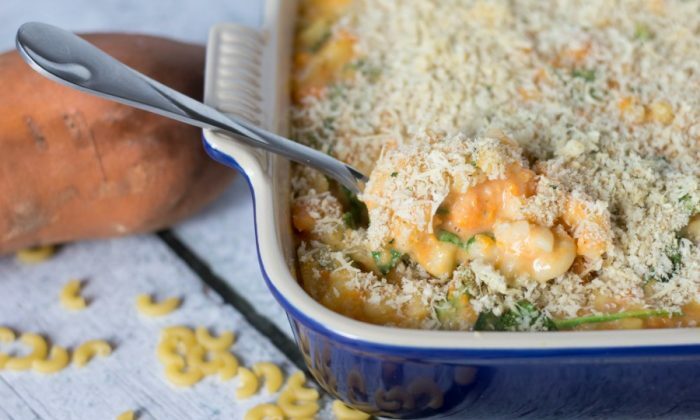 Delicious plant-based recipes will continue to excite palates in 2018. According to the National Restaurant Association’s “What’s Hot” for Menu Trends in 2018, based on their annual survey of over 700 chefs, “veggie-centric/vegetable-forward cuisine” will be popular. Here are the top 10 most-viewed recipes with their links on MeatlessMonday.com. 1. 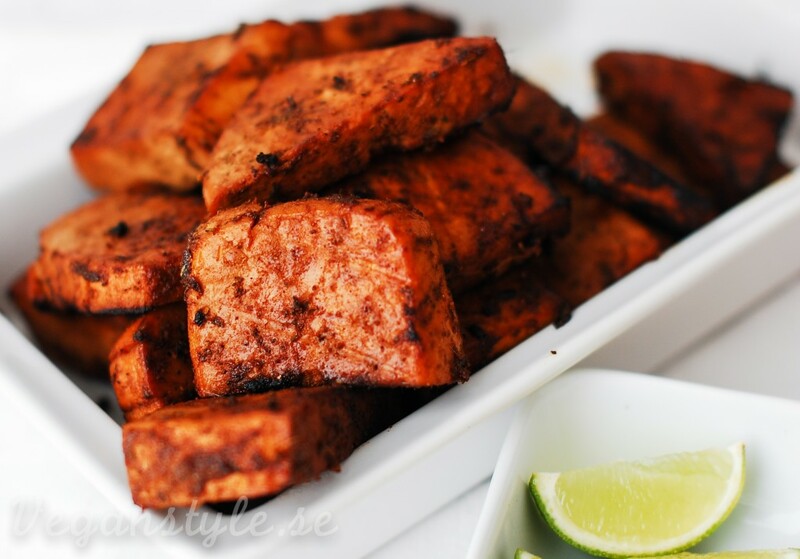 Jamaican Jerk Tofu – The tofu in this recipe soaks up the flavor-rich marinade. 2. 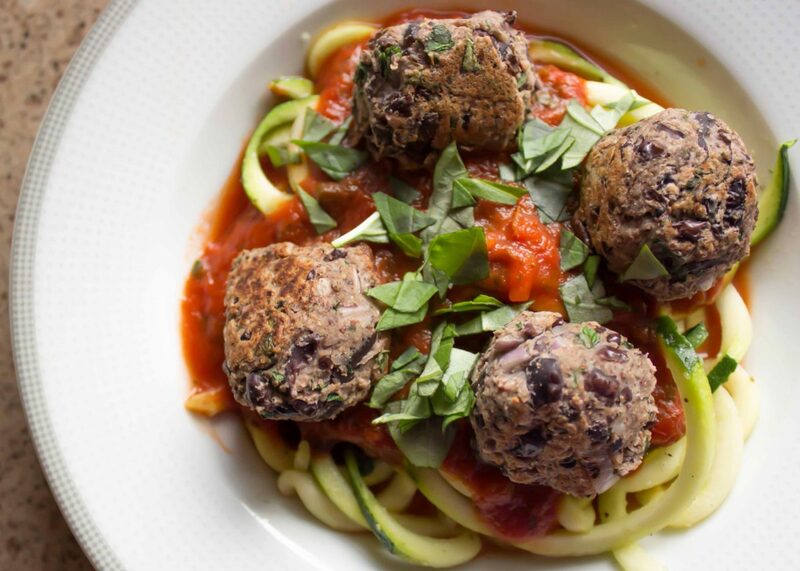 Black Bean Meatless Balls and zucchini noodles – Zesty black bean meatless meatballs are served over zucchini noodles, or “zoodles,” giving this dish a unique twist. 3. 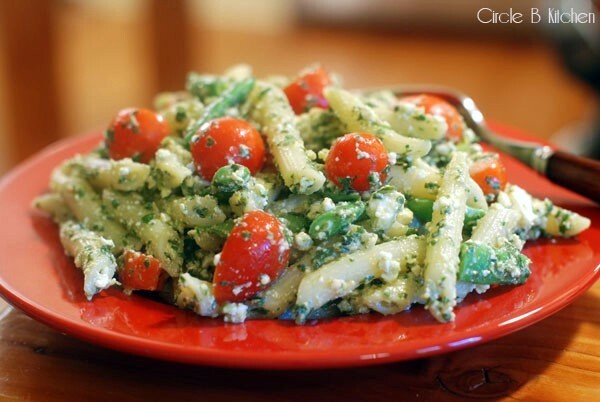 Cherry Tomato Pesto Penne – Cherry tomatoes are a refreshing addition to penne topped with fragrant pesto sauce. This recipe comes from Meatless Monday President, Peggy Neu. 4. 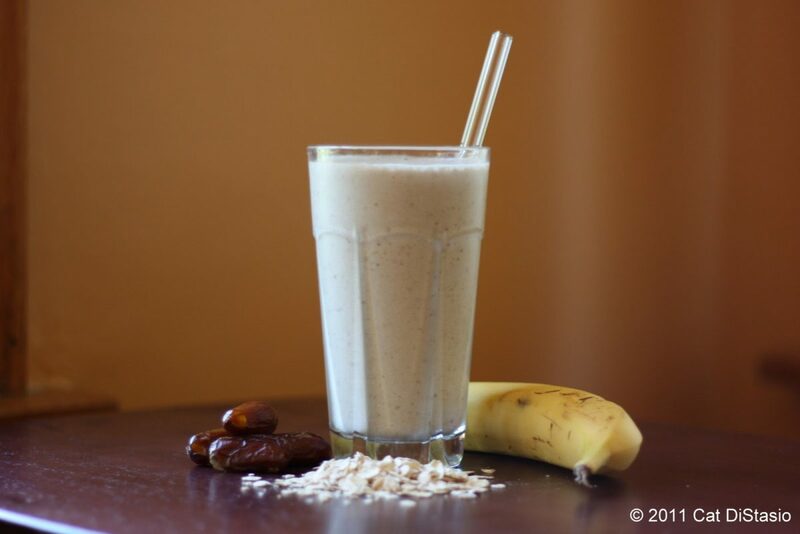 Banana Date Smoothie – Dates add sweetness and rolled oats add texture to this tropical smoothie. 5. 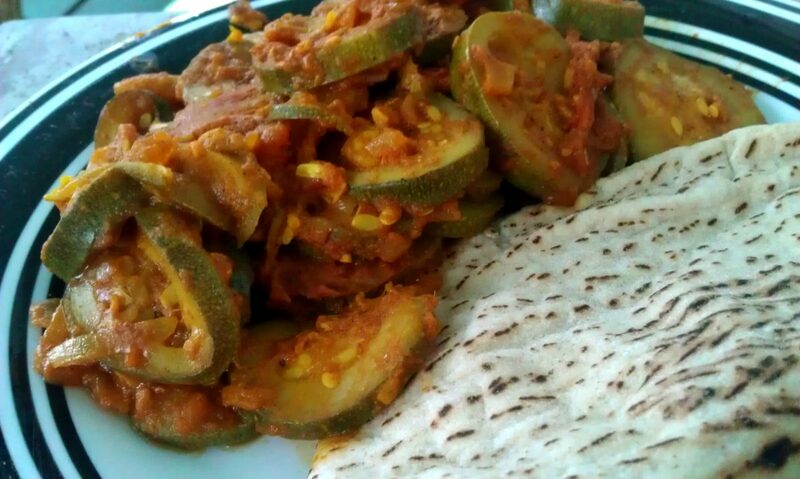 Zucchini Tomato Curry – Garlic, ginger, and onion are sautéed sweet and fragrant, then seasoned with garam masala, cumin, and coriander to perk up fresh tomatoes and sliced zucchini. 6. 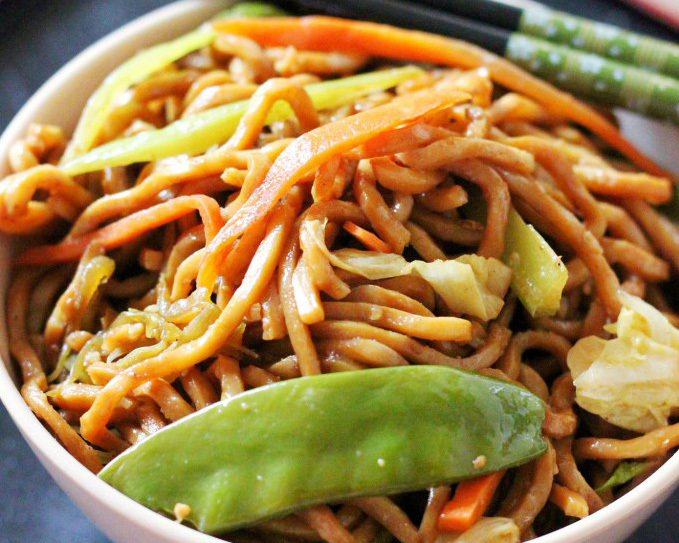 Easy Veggie Lo Mein – This is a quick, veggie-packed version of the Chinese takeout favorite. 8. 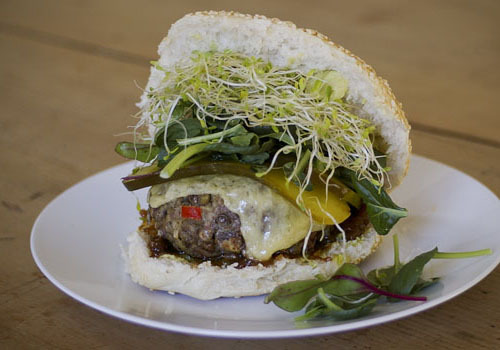 Lentil Burgers – This recipe, perfect for a Monday burger, features lentil patties spiced with red chili and thyme and topped with alfalfa sprouts. 9. 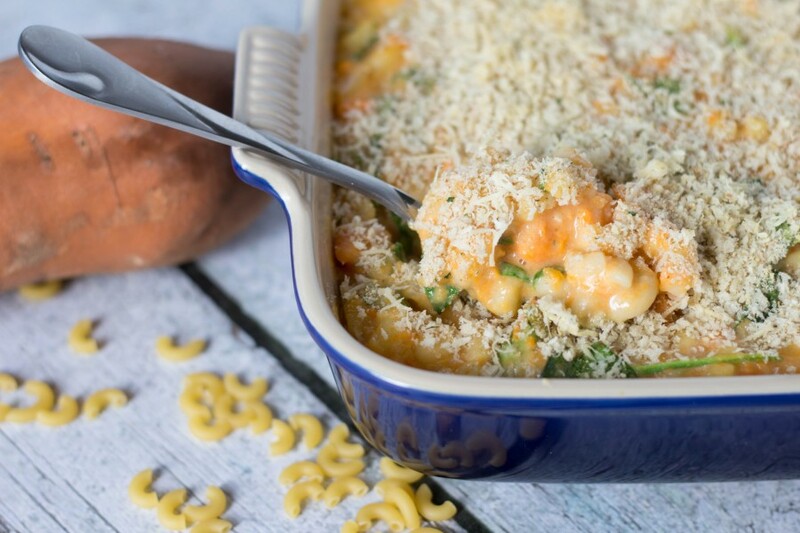 Sweet Potato Mac and Cheese Bake – A mouthwatering take on the traditional, this dish incorporates sweet potatoes, replacing some of the cheese. 10. 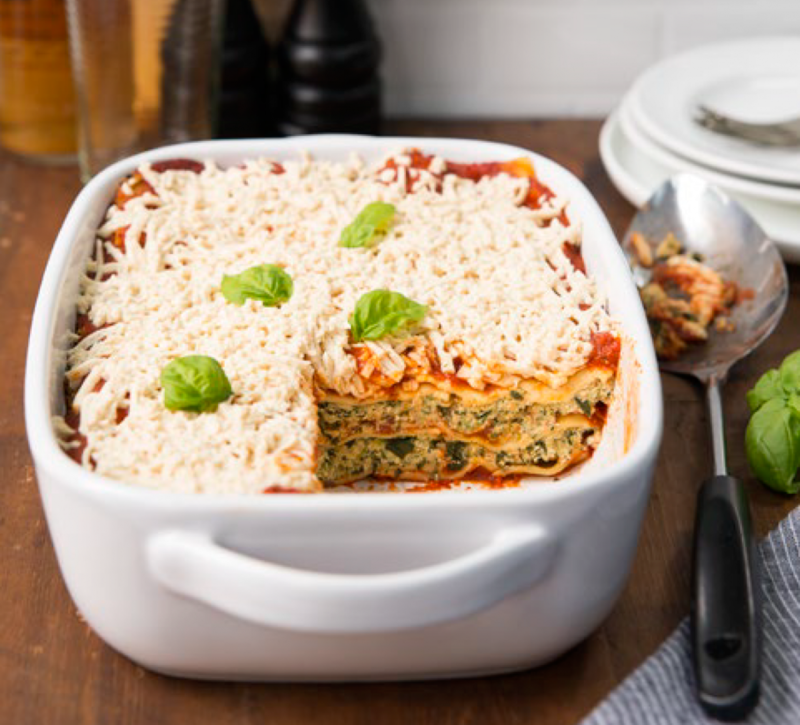 Spinach Lasagna – A surprisingly sumptuous meatless lasagna, this dish features fresh spinach and herbs and a blend of white beans, tofu, and nutritional yeast. Cherry Dumaual, PR and Partnerships Director, The Monday Campaigns. Visit MeatlessMonday.com for many more recipes and additional resources to help use Meatless Monday to pack more superfoods into your diet.